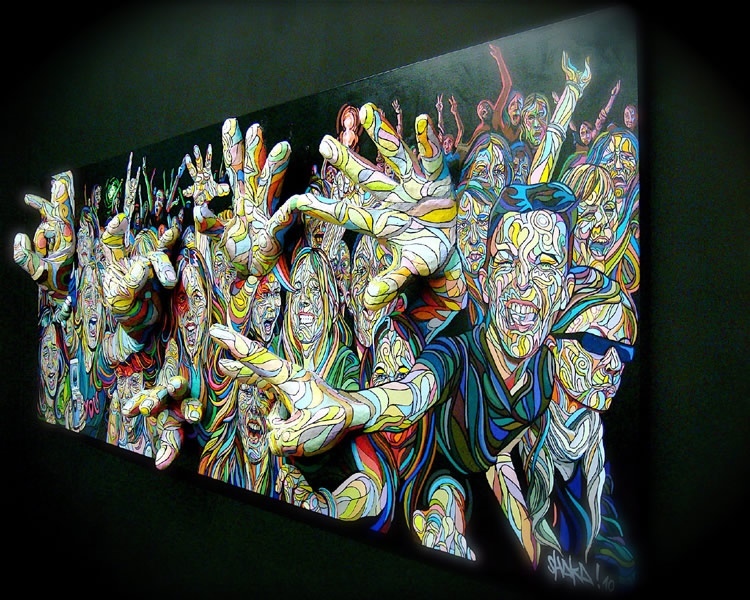 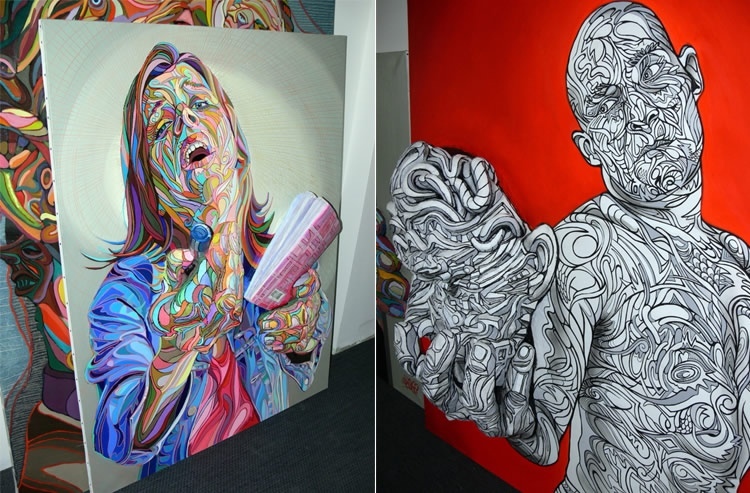 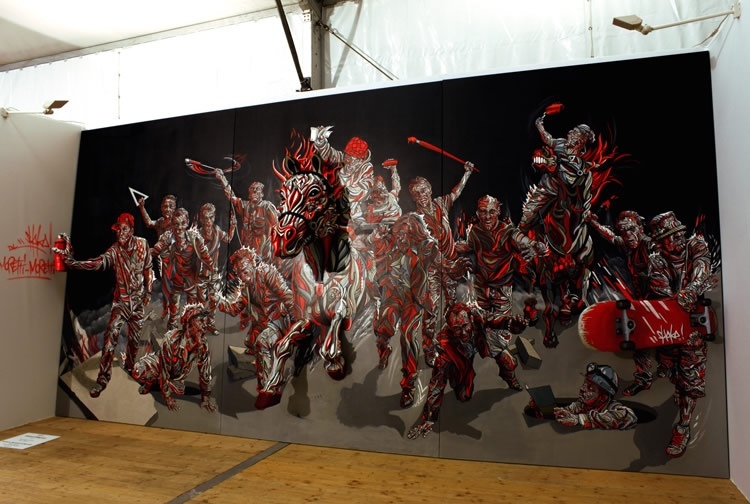 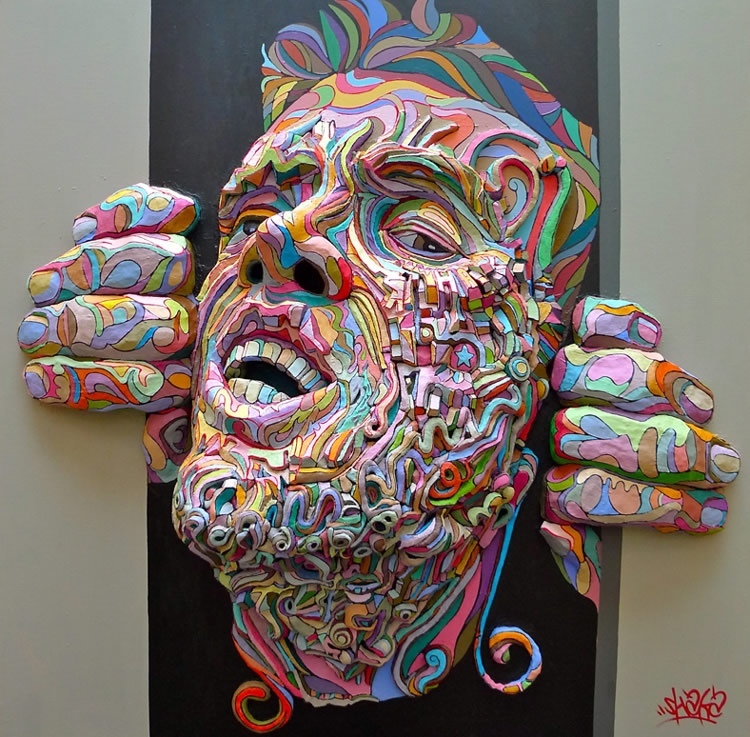 Artist Shaka (Marchal Mithouard) has explored a wide range of art techniques such as painting, sculpting, graffiti, photography, tattooing, and more. 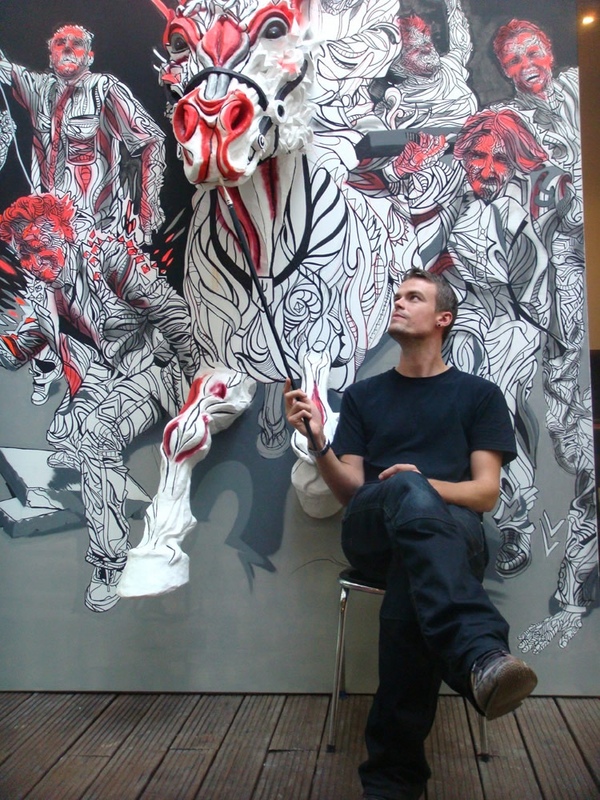 His work is refreshing to see because of the way he combines two-dimensional imagery with three-dimensional forms. 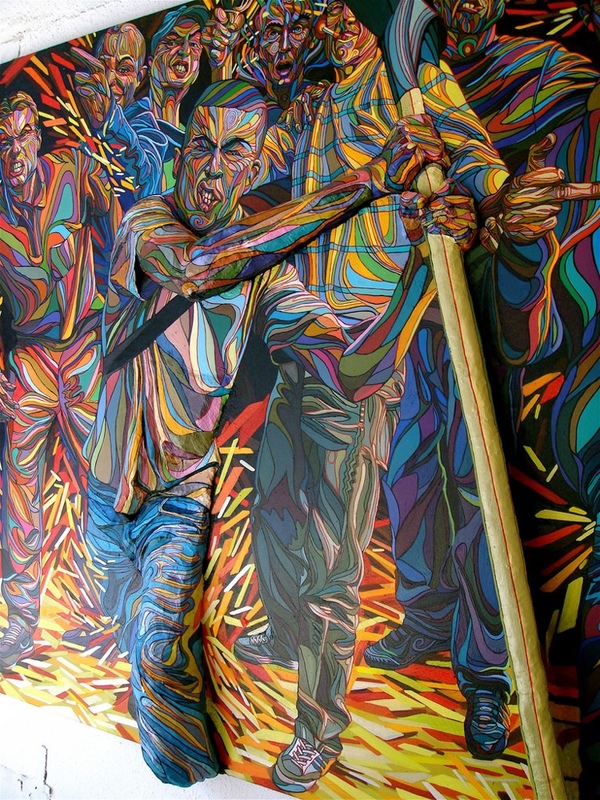 Jumping out of the canvass!